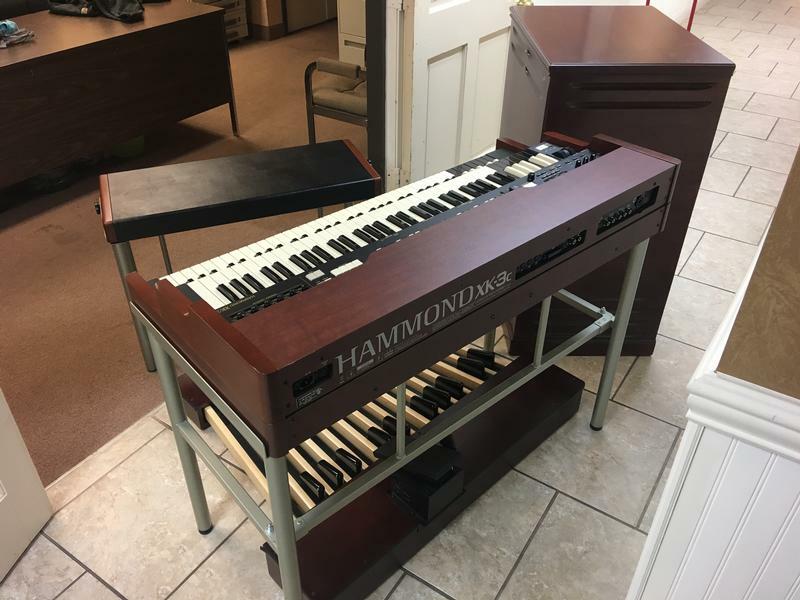 JUST IN-Mint Pre-Owned Hammond Pro-XK3c Organ/System With A Mint 122 -Custom 11 Pin Leslie Speaker-Affordable-Will Sell Fast! - Now Sold! This is an awesome package, one owner, extremely well maintained! WILL SELL FAST! PLAYS & SOUND PERFECT! THIS IS A GREAT BUY AND EXCELLENT VALUE! Now On Sale For $7,995.00 -Complete with 122 Leslie Speaker.